When you’re getting ready to purchase a new HVAC system, what’s the first thing you need to consider? The size of the system! If your HVAC system is too small, it’ll work harder and longer to heat and cool your home. These systems often can’t perform well enough to get your home to the ideal temperature. But if your system is too large, (like this one!) it will heat and cool your home, but will constantly turn on and off because it takes so much less effort to do so. The starting of an HVAC system is the most hardware-intensive part of the process. It takes more energy and places more strain on the system to start it than it does to run for hours on end. This, in turn, requires more repairs and more maintenance. So What Size HVAC Do I Need? Previous Systems – If you had an HVAC system installed previously, then you’re more likely to get an accurate system. If you think your previous system was perfect, then you know what you need. If you thought it was too small or too large, then that can be adjusted accordingly and you can move on to the other factors. 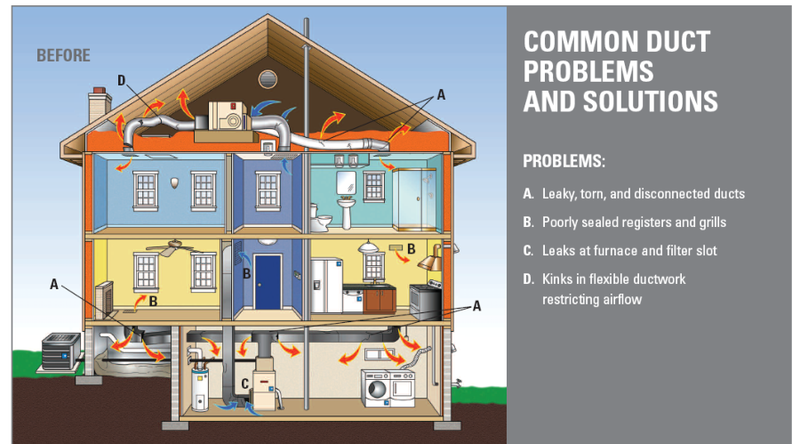 Insulation – The most important factor is your home’s insulation. We’ll talk more about this later, but if your home lets air in and out through the walls, windows and doors, you’ll need a slightly larger system. If you have an airtight home, the system will just need to be large enough to cool or heat your home to the desired temperature. Home Building Material – The building material also determines the insulation of your home. Brick homes only provide a little insulation, whereas vinyl homes provide much more. Room Heights – How tall are your rooms? Some rooms are taller than others, but on average, they’re probably about eight feet tall. The HVAC installer has to take into consideration the height of the rooms individually. A bunch of small, insulated rooms with closed doors is easier to maintain than a large open room. Overall Size of Building (square footage) – Your building’s square footage takes most size factors and puts them into one. Climate Inside the Home – What’s inside the room, along with humidity levels and the climate where you live, also affect the size of your system. For instance, a room with a lot of electronics running is going to be hotter than an empty room. And electronics will need to be cooled more significantly in the summertime. But in the winter, it may require less energy to heat as it has its own natural heating source. 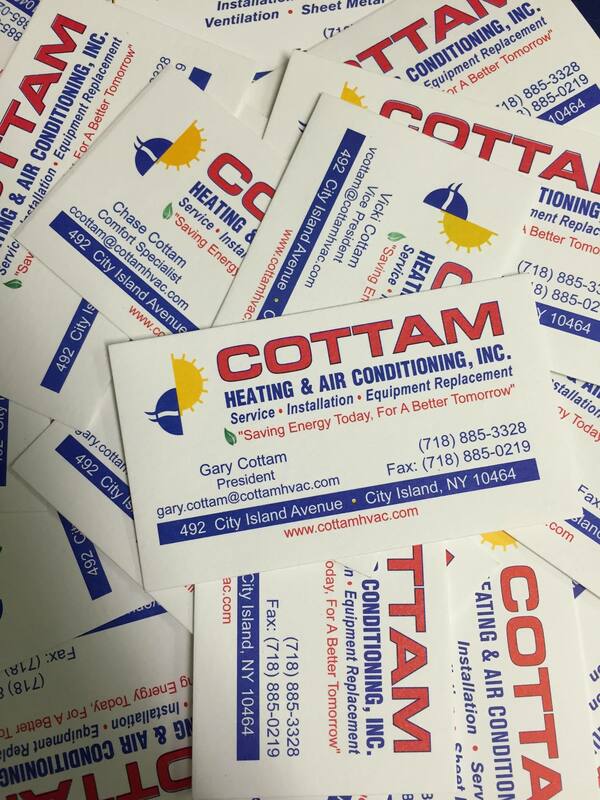 If you want to know more about what Cottam can do for the comfort of your home, give us a call! (800) 734-8367 or visit us online at http://www.cottamhvac.com! One of the things that makes buying a house stressful is the nagging fear that something will break down soon after moving in. The range won’t heat up, the boiler will start leaking, or the heating, ventilation and air-conditioning (HVAC) equipment will refuse to work, leaving a major hole in the household budget. You can’t predict the future, but the following tips will give homebuyers an idea of what to expect from a house’s HVAC equipment. But remember, these tips should not be used in place of the findings of a licensed home inspector. The stat sheet on the house you are interested in should list the types of HVAC equipment, as well as the fuel used to power them. If it does not, be sure to ask. Here are some tips for judging HVAC equipment in a potential home. Furnaces, boilers and air conditioning units are usually hidden away in a basement or utility area. Does the equipment look like it is in good condition? Does it make odd noises? You probably won’t be able to make an accurate assessment of the system based only on how it looks, but you may notice something that concerns you. If you proceed to the next step of the home-buying process, you can discuss the issues with a home inspector. You can also hire an HVAC contractor to perform an inspection of the equipment. Ask about the system’s age. HVAC equipment has a finite lifespan. Once the system is about 15 years old, it should be replaced. While many air conditioners, heat pumps, furnaces, and boilers can work well longer than 15 years, especially if they are well maintained, energy regulations and advances in technology make newer equipment much more energy efficient — and therefore cost efficient — than older models. The Department of Energy estimates that a 12-year-old central air conditioner that is replaced with a new Energy Star model, which will be more energy efficient than standard models, can reduce your air conditioning bill by 30 percent. Look for the energy label. All heating and cooling equipment should have a yellow energy label. The label lists the energy efficiency of the unit and its operating costs relative to similar equipment. The table below provides a standard against which you can judge the equipment and the requirements for an Energy Star logo. Items that qualify are more energy efficient than typical equipment. Keep in mind that the table only lists minimum standards. You can find furnaces, air conditioners, and heat pumps that are much more energy efficient than the minimum ratings. Boilers and furnaces are rated by annual fuel utilization efficiency (AFUE), which provides information on the amount of fuel that is converted to heat. The seasonal energy efficiency ratio (SEER) tells how efficient an air conditioner is in converting electricity into cooling. The heating seasonal performance factor (HSPF) measures the heating efficiency of heat pumps. When judging the efficiency of the HVAC equipment in a home, know that the rating on the label refers to a brand new unit. Unless the equipment was properly maintained, it probably is not as efficient as the label states. Ask about past maintenance and repairs. Heating and cooling equipment needs maintenance to operate properly. It does not hurt to ask about past maintenance, especially if you show interest in the house. Sometimes, HVAC technicians leave behind a dated job ticket when they service an air conditioner, boiler, furnace or heat pump. It may be attached to the unit or posted nearby and tells the next technician what has been done to the system. Job tickets are essentially a mini-maintenance record. Check them for frequent repairs, especially if they involve big-ticket items like blower motors or compressors. A few large repairs on an older system could mean trouble in the future. Notice the comfort level in different rooms. Pay attention to how comfortable you are as you tour the house. There’s a problem if the house is hot and stuffy when the AC is cranking or if it feels drafty when the heat is on. If only certain rooms are uncomfortable, it could mean there is something wrong with the delivery system, such as leaking or uninsulated ducts. Be sure to inspect the HVAC equipment as thoroughly as possible before you commit to purchasing a new home. Take the time to survey the equipment, and ask questions about its history. Taking simple steps can save you from discovering a big problem after you’ve moved in. Although it may be a disgusting thought, bear in mind that many of the odors coming up through your registers will likely be animal related. These may be due to “animal smells” getting lodged in the filters, thereby sending the odor throughout the home through the ductwork. It could also be due to a mouse or rat that has died either in the ductwork itself or inside a building cavity. Thus, if replacing the filter doesn’t work, you may opt to call a professional who can locate the source of the stench and remove it. Combustion flue gases are dangerous and are loaded with carbon monoxide, so if you smell things that seem out of place – i.e. a “burning” scent, LP gas or oil, or anything else that you shouldn’t notice – it is crucial to contact someone right away, particularly if you do not have carbon monoxide detectors in your home. The release of flue gases into the ductwork can be caused by any number of things, but it is most commonly caused by a hole in the heat exchanger that allows the gases to seep into the ducts. Mold odors are also incredibly common in ductwork, but they can also be dangerous. Mold can have a severe impact on your overall health and cause persistent allergy symptoms, infections, and even permanent damage to your body. If you notice a mildew smell emanating from your vents, then it is best to contact a professional who can not only locate the source of the mold, but figure out how it got there in the first place. It is best to have it removed as soon as possible. Another common odor that homeowners report, primarily in the winter season on days or nights when the furnace is used, is a sewer smell. There are a number of causes for this, but it might be that a sewer line has cracked or is leaking onto ductwork. Thus, when the furnace is running and air is coming from registers, it is bringing that rather strong sewer smell with it. It may also occur when the condensate drain is connected to the sewer without a trap. In this case, sewer gas may leak up through the condensate drain and into the furnace. A professional plumber can install a trap in the condensate line to alleviate this problem. Remember that if you are smelling mold, flue gases (or the odor of combustion byproducts), or sewer odors in your home, it is important to have these issues addressed immediately as they present serious hazards to your health and perhaps even the risk of explosion in the case of methane (sewer) gas in high concentrations. Strange and unpleasant odors in your ductwork can be frustrating or even embarrassing when you have friends and family in your home. If you’ve noticed some unusual smells emanating from your registers and you’d like to take care of them in time for the holidays, you’ve come to the right place. Though some of the odors might be considered benign and simply annoying, others have the potential to be dangerous. You may need to clean, repair, or replace parts of your ductwork to solve the problem. Summer Maintenance Tips for your Home! When homeowners leave the home for more than three to four hours at a time during peak heat periods, they oftentimes close their windows and doors which will result in no home ventilation. While they’re out, the indoor home temperature rises considerably. For example, it can be 95 degrees outside and by the time you arrive home the indoor temperature has risen to 88 degrees. This is an uncomfortable temperature for most families so turning on the air conditioner is the logical solution, usually set in between 73 to 75 degrees. Unfortunately, even if the air conditioning never turns off, it may take hours to lower indoor room temperature (as a whole) from 88 degrees to 75 degrees. When you know you’ll be out of the house during peak heat hours, leave the air conditioner on to a reasonable temperature (78 to 80 degrees). That way, when you return home you can adjust the thermostat to a comfortable 75 without stressing out your air conditioner. Each central air system works to cool air by 15 to 20 degrees at a time. As an example, if the indoor air temperature is at 80 degrees, the AC system takes that supply of air and subtracts 15 to 20 degrees of heat before releasing it back into the home air supply. Because it mixes with the other 80 degree air that has not been conditioned yet, the air you feel will be cooler but not necessarily the temperature that you set on your thermostat. It takes time for the indoor air to reach temperature equilibrium. However, if you detect the mixing of conditioned air and the indoor air supply is not the reason for poorly conditioned air there may be a greater issue. Though air is still conditioned, it is less efficient, working twice as hard to cool the same amount of air. If your air is not cooling air in 15 to 20 degree increments, a maintenance call is required to restore proper function and efficiency levels. A good maintenance call scheduled regularly eliminates issues with poor or dirty filtration. From stuffed filters to build-up over the evaporator coils, keeping your central air system clean not only benefits the system itself but the sanitation of the air you breathe inside of your home. When air filters are not replaced or cleaned out it adds strain upon the AC because it is now more restrictive than before. This means less air gets through the filter and less air is conditioned. If this happens, it also causes the evaporator coils to ice up while the system overheats. The evaporator coils are hollow tubes through which refrigerant flows. Once the refrigerant reaches the evaporator coils, the coils grow cold so that the indoor air supply that passes over them are cooled before returning into your home. Something as simple as a dirty filter can stop this process because less room temperature air passes over the coils which in turn ice up. Likewise, poor air flow due to dirty filters encourages the system to overheat and shut down. This is because a central air system needs a heat source to function and restricted air flow means the same amount of energy is used for less and less air. Filters that are not serviced are the number one reason to system shut-downs. Have your preferred HVAC technician visit to service your AC system. Be sure to replace filters and have the evaporator coils and drip pans cleaned. These areas collect water and are prone to microbiological growth. Homeowners, new and old, have a tendency to think that their air conditioning system is an open system. This is not the case. Contrary to popular belief, there is no need to refill your refrigerant supply. Given that your AC system was installed properly and there are no leaks that have accumulated during its lifespan, the same supply of refrigerant is recycled each and every single day. However, if your refrigerant supply does experience a leak, it requires the attention of a HVAC technician as soon as possible. Refrigerant is a gas that damages the ozone layer if released into the atmosphere. Your technician can repair the leak and restore its proper supply. 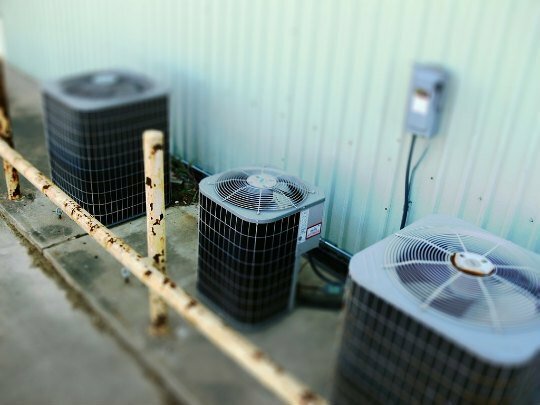 When your refrigerant supply does drop due to a leak, the system is less efficient because it has less cooling power to work with. If your AC system previously cooled indoor air in 20 degree increments, it now may be cooling in 10 degree increments; the air conditioner works harder to condition the same amount of air. Have your preferred HVAC technician repair the leak, refill refrigerant and recalibrate. Control those high summer energy bills! Summer is fast approaching and in New York, it can get pretty hot. Some homeowners dread summertime because of the need to constantly run their cooling system. Below you will find some tips to help control your summer cooling costs and keep your hard earned money in your pocket. Skip using appliances that produce heat until the sun goes down.The added heat from the stove or dryer will make it hotter in your home causing you to feel the need to lower the AC temperature. When you take a shower, use the exhaust fan to pull the steam from the bathroom. When you reduce humidity, you increase comfort. Change the AC filter on a regular basis. A unit with a clean filter will run far more efficiently than one with a dirty filter. Keeping the filter clean and free of dust and debris will allow for good air movement within the system. Invest in a programmable thermostat. A programmable thermostat allows you to adjust the temperature according to your schedule. Try keeping the temperature set at 78 when you are home and raise it when you are away. Raising the thermostat temperature when cooling is not needed can reduce your energy bull by up to 15 percent. Regular maintenance pays off. Make sure you stay up to date with the maintenance requirements of your HVAC unit. Keep the outside unit clean and free of leaves and other yard debris to avoid damage to the system. Use the ceiling fan. Fans circulating the air in your home can make you feel much cooler. Fans don’t necessarily lower the temperature in the room but they do make it more comfortable. Make sure you remember to turn the fan off when no one is using the room to save energy costs. Close the curtains. 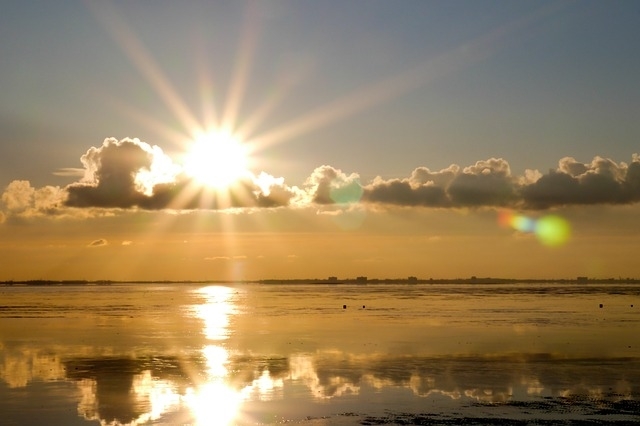 When you allow sunlight into your home, it is going to get hotter. Consider replacing your curtains with solar curtains that are made to block out sunlight. Consider the age of your unit. If it is more than 15 years old, you should think about replacing it with a more energy efficient unit. If you put these tips to use, you are sure to see a significant decrease in your energy bill this summer. Looking at cost is more than seeing a price tag. Take the annual maintenance for your heating equipment. If you apply a small percentage of the value of the equipment in routine annual maintenance, your investment reduces your energy expenses, saves on repairs and takes care of you longer. However, if you neglect to routinely take care of your furnace, you incur issues both seen and unseen that can cause breakdowns, waste energy and develop potentially dangerous problems for you and your family. Here are just a few areas where neglect can prove so costly. Energy use increases. When dirt clogs your system, it has to work harder to keep you warm. Less efficiency means higher operating costs. In fact, energy experts say that your energy costs can be reduced by 30 to 35 percent when heating equipment is serviced regularly and properly maintained. Equipment life is shortened. With all that dirt and grime causing efficiency problems, your system is running longer and more often. Thus, the parts feel the pressure, and they’ll wear out sooner. Even a small problem that goes undetected for a long period of time can lead to an earlier than normal system failure – or cause breakdowns with big repair bills. Preserving your manufacturer’s warranty. Heating and cooling systems are big-ticket home improvements that come with long-term warranties. But many of these warranties require routine maintenance to keep them in effect. Don’t risk losing your warranty due to neglect. Protecting your family’s safety. This may be the last “cost” in this list, but certainly ranks highest in what matters most. An unmaintained system can put you at risk of a deadly carbon monoxide leak. Loose electrical connections in an unmaintained system can also create a fire hazard. Neither are worth the risk of neglecting routine maintenance. If you’d like to schedule a maintenance, we’d be honored to have you trust your system to us. Let us hear from you. The efficiency of a furnace is rated in terms of its annual fuel utilization efficiency (AFUE) rating. The more efficient a furnace is, the more expensive it will be to operate in most cases. A furnace with 90 percent AFUE may go for $1,000 more than a unit with a 10 percent lower AFUE rating. However, you’ll be able to recover the cost via lower utility bills over the course of the unit’s life. Note that while electric furnaces are more efficient than gas ones, electricity is often a more expensive fuel than gas. This means that an electric furnace may still be more expensive to run. It’s extremely important that you select the right-sized furnace. An undersized furnace will not be able to keep your home sufficiently warm when the weather outside is very cold. On the other hand, an oversized furnace will cycle on and off too frequently, which can cause parts to wear out more quickly. No matter which brand you choose, you’ll need to maintain your unit to ensure that it functions properly over the long-term. This includes regularly changing filters and having it inspected by an HVAC technician. If you’re shopping for a new furnace, contact Cottam Heating & Air Conditioning. We have been providing quality HVAC services to the Manhattan and Westchester areas for over 20 years. 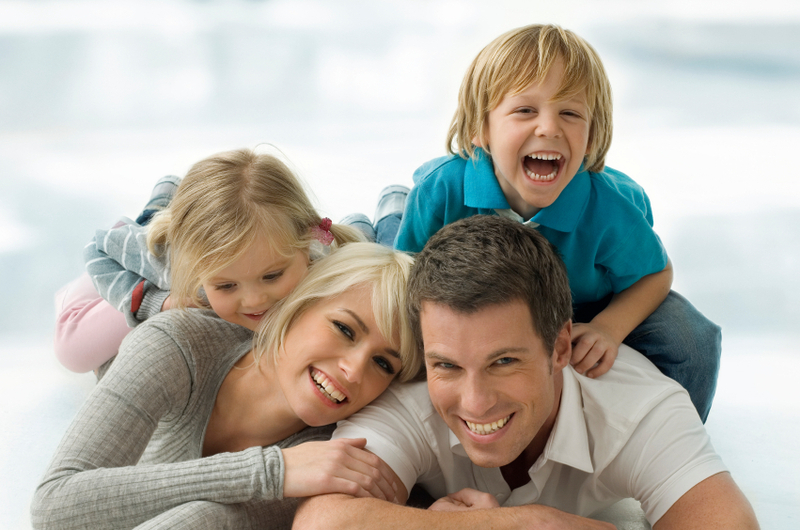 Our HVAC experts will be able to provide the advice you need to make a good decision.